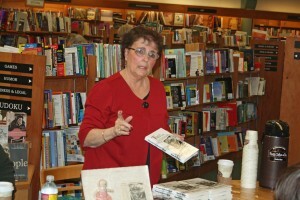 On Saturday February 28, 2009, Michael and Jean-Marie attended a book signing and speaking appearance at Copperfield’s bookstore in Montgomery Village in Santa Rosa, CA. 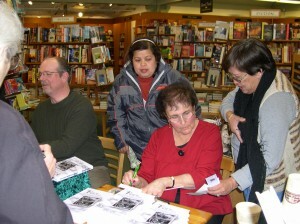 The book signing was a huge success and was very well attended. 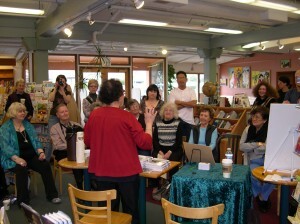 Jean-Marie telling her story at Copperfield’s bookstore. Jean-Marie speaking before the audience. Michael and Jean-Marie signing books for all. 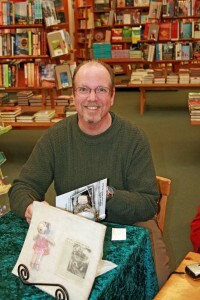 Author Michael McCoy at the book signing table.